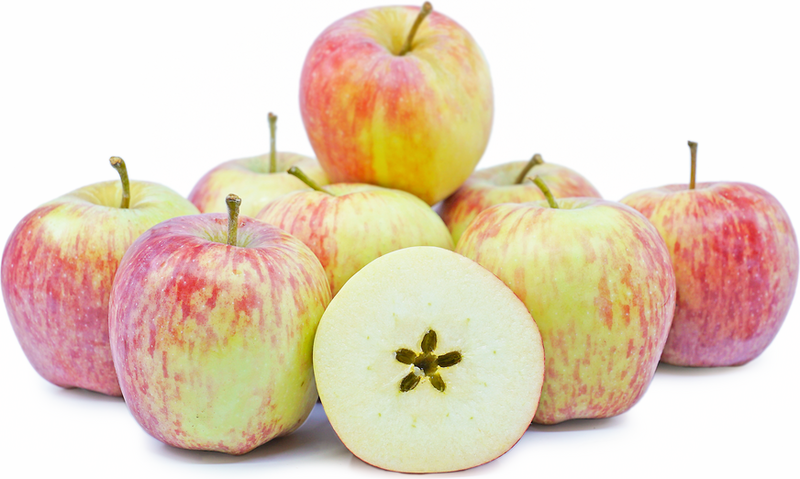 Striped Delicious apple is mottled with bright yellow, green and deep red blushes of color. Often the skin is also marked with faint white, yellow, light red or darker red striations. The Striped Delicious apple has creamy white flesh that is slightly crisp and dense offering a mildly sweet flavor and slightly floral aroma. Striped Delicious apples are available year-round. Recipes that include Striped Delicious Apples. One is easiest, three is harder.